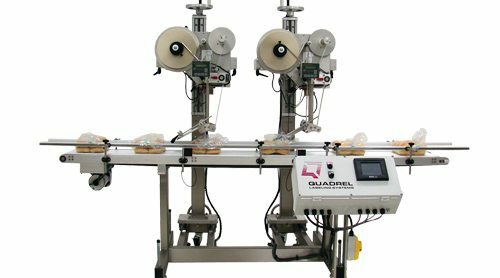 This system features a food-grade rubber belt conveyor and non-proprietary controls. There are two redundant applicators. The zero-down time controls automatically transfer operation to the downstream secondary applicator in the event of a low label supply or broken web fault on the primary labeling head. The controls also “count” the products to prevent double labeling and unlabeled product.